Interested in becoming a student with the Thorne Lab? Check out our opportunities here. Stephanie is an M.S. student in the Thorne Lab. Before beginning graduate school at SoMAS, she obtained a B.Sc. in Environmental Studies at Gettysburg College and spent a year traveling and working with organizations such as VIVAMar in Croatia, the Marine Coastal Ecology Research Center in Puerto Rico, and the Cold Spring Harbor Whaling Museum on Long Island. Stephanie’s Master’s thesis research uses morphometric measurements collected from marine mammal stranding networks along with telemetry data to examine and compare the thermal ecology of short- and long-finned pilot whales along the east coast of the United States. After completing her M.S., Stephanie plans to pursue a Ph.D. and would ultimately like to become a marine science professor. 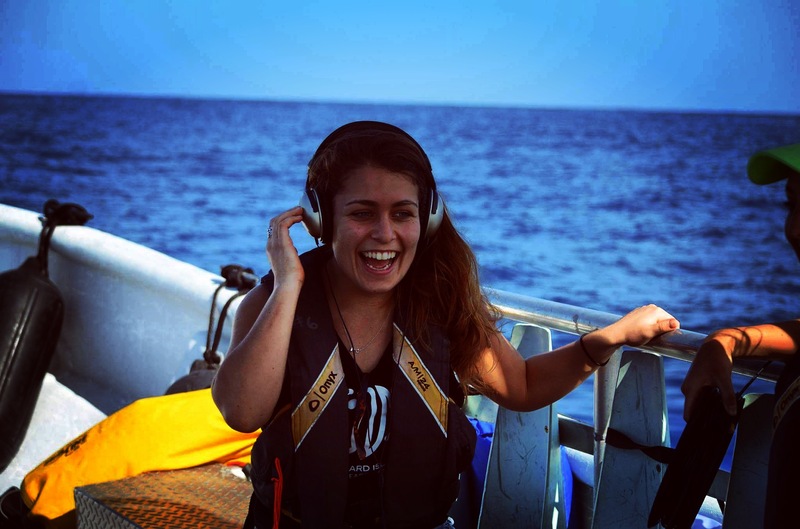 Julia is a student in the accelerated BS/MS program in Marine Sciences at Stony Brook University’s School of Marine and Atmospheric Sciences. Her Master’s thesis examines loggerhead sea turtle diet in New York waters over the past 20 years: what are they eating, how their diet has changed through time, what environmental factors contributed to these changes, and how those changes might reflect changes in the benthic community. 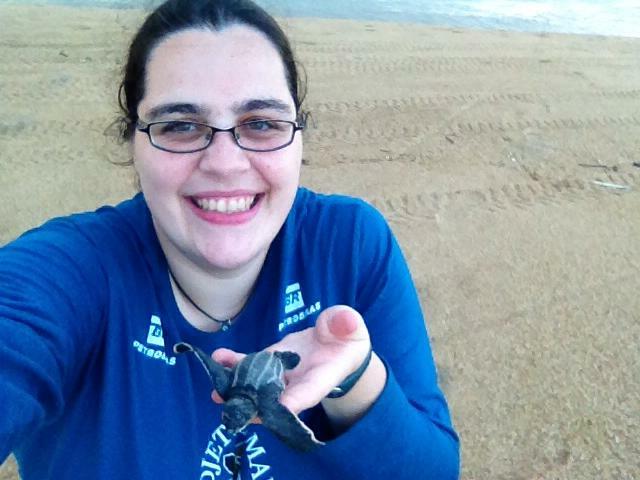 Julia has worked with a number of sea turtle conservation programs in Florida (Mote Marine Laboratory’s Sea Turtle Conservation & Research Program) and Espirito Santo, Brazil (Projeto Tamar), monitoring adult and hatchling sea turtle activity during nesting seasons. 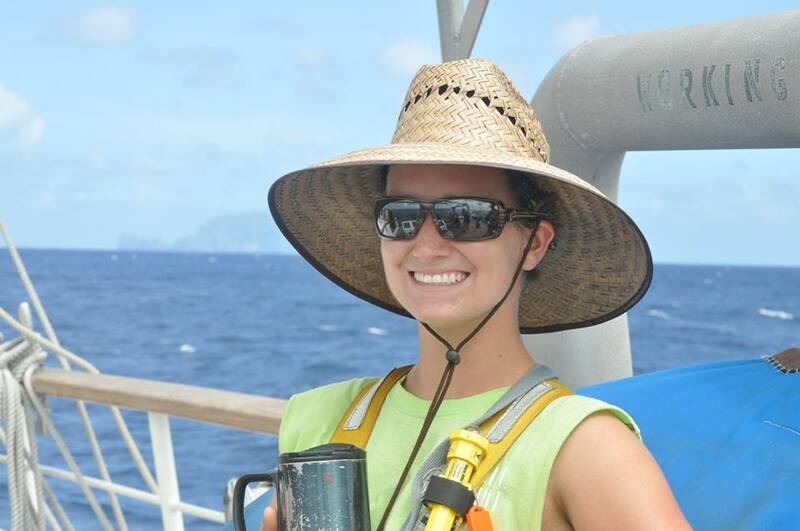 Outside of her thesis, Julia is interested in the effects of anthropogenic pollutants and water quality on sea turtle hatchling success and disease prevalence. Matt is a Master’s student at SoMAS in the Thorne lab. He received his B.Sc. in Wildlife Biology and his GIS certificate from Paul Smith’s College in upstate New York. Matt has been working with birds since the beginning of his undergraduate career. Most recently, he has worked for the University of Delaware under their Saltmarsh Habitat and Avian Research Program and was working at Archbold Biological Station in southern Florida prior to joining SoMAS. 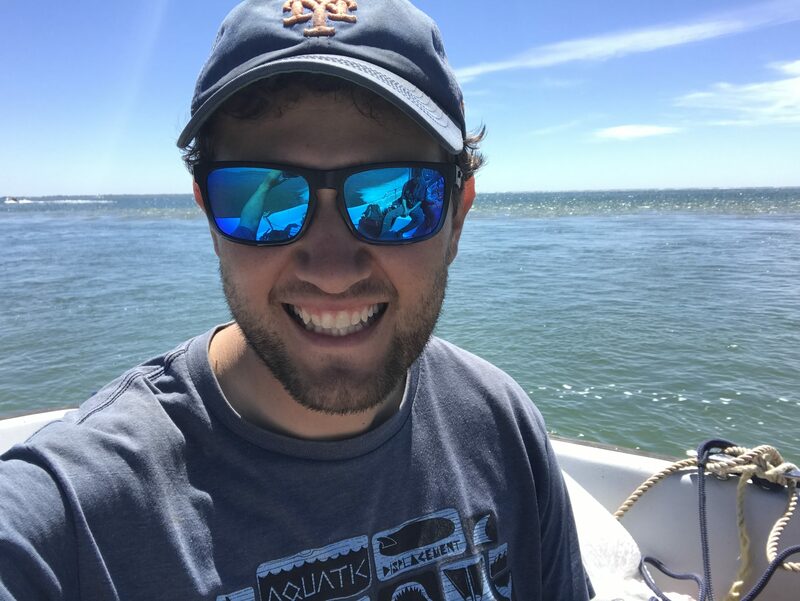 Matt’s Master’s thesis examines the foraging ecology and movements of herring gulls along an urban gradient, and links movement and foraging behavior with the microbiome of individual gulls . Julia recently completed her MS in the Thorne lab at SoMAS. She obtained a B.Sc. (Honours) from McGill University in Montreal, Quebec, and completed a GIS certificate at The University of Maine at Machias. Julia has spent many years working on the ocean, both with the Sea Education Association and with whale watch companies in New England. Her Master’s thesis investigated the effectiveness of a spatiotemporal approach for reducing pilot whale interactions with the pelagic longline fishery using pilot whale telemetry data, longline effort data, and data from the Pelagic Observer Program to quantify and model spatiotemporal overlap between pilot whales and longlines relative to observed interactions. Julia defended her MS in May, 2017 and is now a PhD student in the Department of Ecology and Evolution at Stony Brook University.